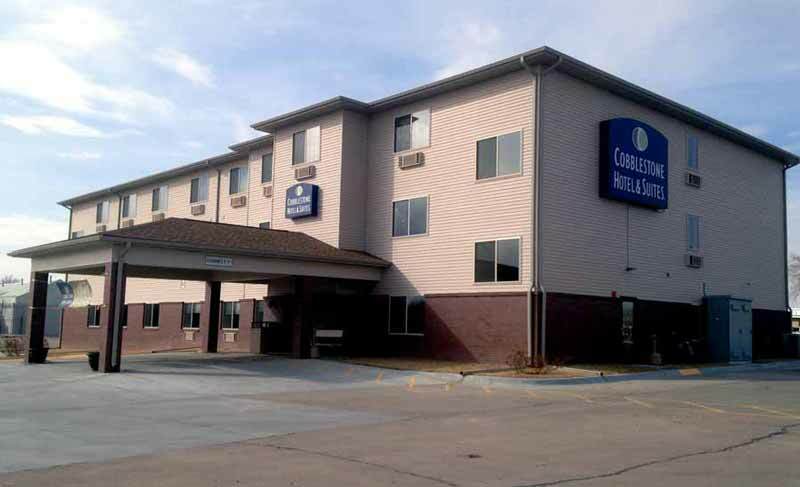 Welcome to the Cobblestone Hotel & Suites in Fairbury, Nebraska. Our beautiful hotel is conveniently located near everything that Fairbury, Nebraska has to offer including the Fairbury Municipal Airport, Jefferson County Speedway, Gerdes-Meyer Funeral Home, and Jefferson Community Health Center. Our hotel provides easy access for traveling to and from U.S. Highway 136 and Nebraska Highways 8 and 15. Located south of Interstate 80, our hotel is within 125 miles of Omaha, Nebraska. In town for business? The Cobblestone Hotel & Suites in Fairbury, Nebraska offers easy access to Prairie View Industries, Endicott Clay Products, Loveland Chemicals, Westin Foods, Jefferson Community Health Center, Lambert Vet Supply, Westin Packaged Meats, Fairbury Winnelson Co., FPM Inc., Fairbury Livestock Co., MSA Brand Products, McBattas Packaging and Printing, and much more! In town for some fun? Check out the Rock Island Railroad Museum, Jefferson County Speedway, Rock Creek Station State Park, Buck’s Guide Service, Rolling Creek Outfitters, Rocky Hollow, Quality Pheasant Hunts, Cub Creek Hunting, Pure Sérénité Spa, Stagecoach Mall Antiques & Tasting Room, Memories & More Antique Mall, Darrow Antiques, Rowdy’s Steakhouse, Griffey’s Steakhouse, Harvest Chinese, Jalisco Mexican, Classic Cones, Goodrich Dairy, 9 And Dine Restaurant, and more.